Villa del Palmar Beach Resort & Spa Cabo San Lucas is located on Médano Beach overlooking Land’s End and the El Arco rock formation, and is surrounded by supernal natural beauty. It is within walking distance from downtown and other local attractions, and it can easily be reached when coming from the International airport located in Los Cabos. Those choosing Cabo San Lucas for their Mexico vacation can revel in the supernal beauty, world-class luxuries, and sublime ambiance of one of the top beach destinations in Mexico. The energetic city, located at the southernmost point of the Baja California Peninsula, has long been a favorite among travelers seeking the ultimate vacation getaway. 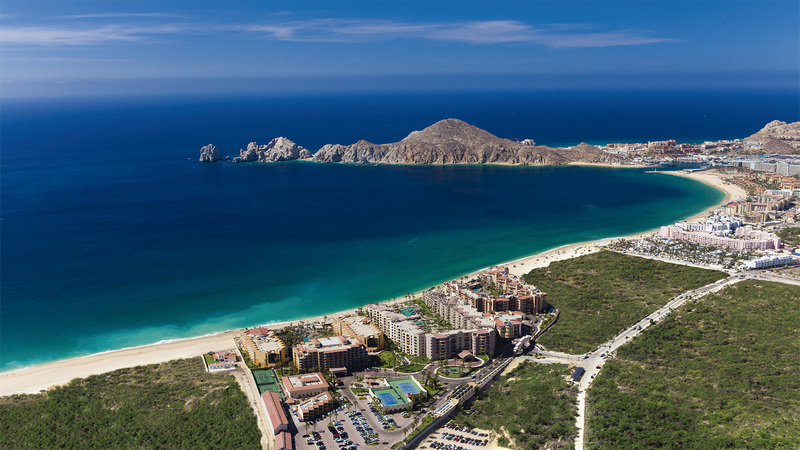 In Los Cabos, you’ll encounter mesmerizing views of the Sea of Cortez and the picturesque desert and mountain landscape that blankets the region, and when choosing Villa del Palmar Beach Resort & Spa in Los Cabos Mexico, you will find the idyllic setting for every type of vacation. The resort, which features majestic views of the El Arco rock formation and Medano Beach, is the ideal Cabo San Lucas all inclusive resort for weddings, honeymoons, meetings, and of course, the ultimate vacation experience. Medano beach is Cabo’s safest swimming beach. It starts at the mouth of the Marina and extends all the way past Villa del Palmar.